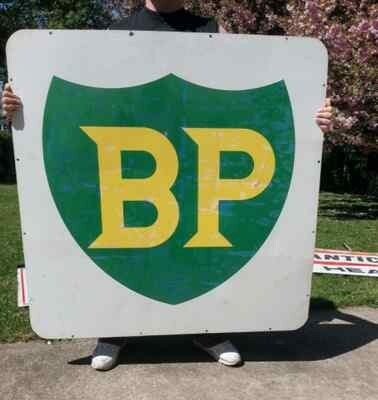 Measuring 48″ by 48″, this BP sign likely hung outside of a gas station. The sign is square in shape and has a white background. In the middle of the sign is a large green shield. Overlayed on the shield is yellow lettering that says BP.